The fashion elite stormed NYC last night to celebrate Vogue's annual first Monday in May: The Met Ball. This year, the theme married together religious works of art and couture, aptly named Heavenly Bodies: Fashion and the Catholic Imagination. Naturally, the dresses, headpieces, and elaborate jewelry were a focus, but for us, it was more about the hair, makeup, and skin. Ahead of her arrival, the evening's co-host stopped by Tracie Martyn's NYC spa, a British-born makeup artist who may have discovered the fountain of youth. So I stopped by too. I walked through her delicately decorated doors for what Martyn refers to as the Red Carpet Facial. What I discovered is this facial very sculpts your entire face in mere minutes. 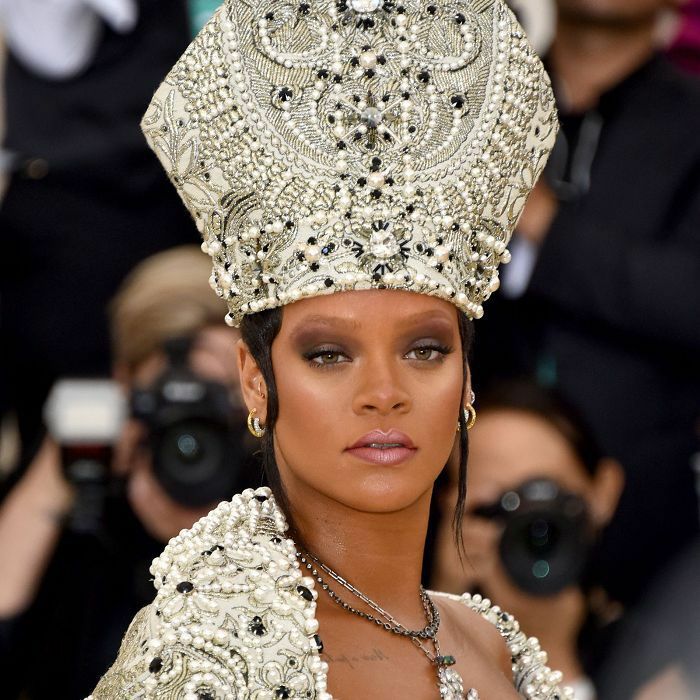 No wonder goddesses like Rihanna, models like Naomi Campbell and Georgia May Jagger, and actresses like Kate Winslet and Allison Williams sing her praises. Oh, and Kim Kardashian West swears by her body cream. I wondered, though, why this facial boasted results far superior to others. And for $450 a pop, it better be worth it. Simply put, it's powered by Tracie Martyn's proprietary resculpting machine. Of course, this is not the only microcurrent facial on the market, but Martyn's understanding of the precise requirements is unmatched. "It's necessary to deliver a specific amount and type of current at the right intervals (the waveform and frequency) customized to the area you're working on," Martyn explains. After discovering her technique in Europe, she had to reevaluate and adjust the technology for her clients in the U.S.—naturally, Americans are looking for instant gratification. "The clients here are looking to see a difference in one treatment, not after a series of 10." To do it, she collaborated with Marius Morariu, a nutritionist with a passion for science. Together, they developed her "Beyond Microcurrent" lifting machine, which works to keep your skin elastic, your face lifted and contoured, and your features defined after just one 60-minute session. "The technology has the ability to de-puff your face (similar to a lymphatic drainage massage), enhance your cheekbones, and define your jawline by stimulating the skin and the muscles underneath," notes Martyn. "We combine both light (including pulsating amber light that preserves collagen) and current with clean, natural products to enhance the penetration of the actives." Keep reading for the rundown of my entire facial (step-by-step) and the products you can purchase to re-create some of the results at home. The aesthetician started with a diamond-tip microdermabrasion, concentrating on any large pores, darker spots, and fine lines. Then, she applied the Amla Purifying Cleanser to perform a cleansing massage over my entire face, neck, and around my eyes. 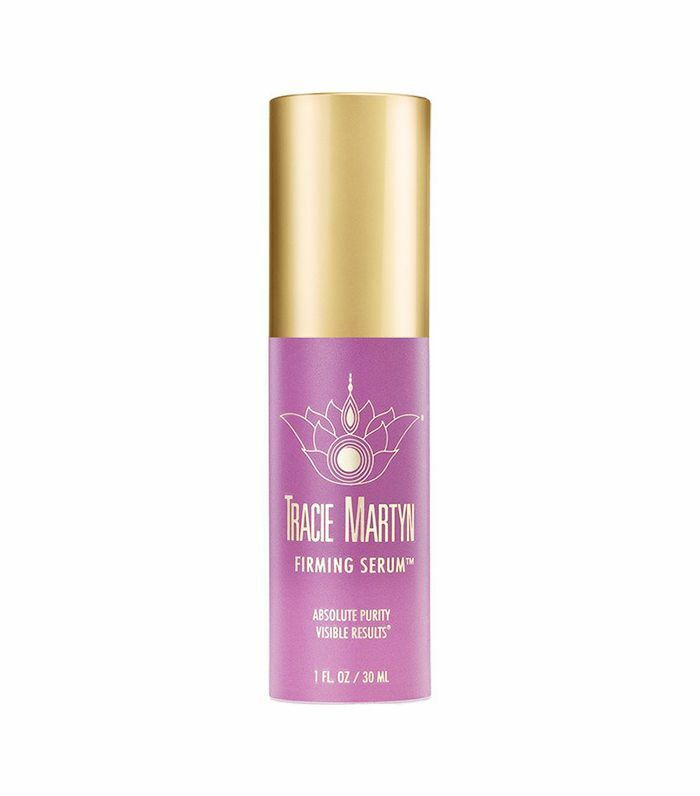 The product straight-up smelled like a margarita and is formulated with vitamin C, salicylic acid, papaya enzymes, Ayurvedic amla berry, and turmeric. 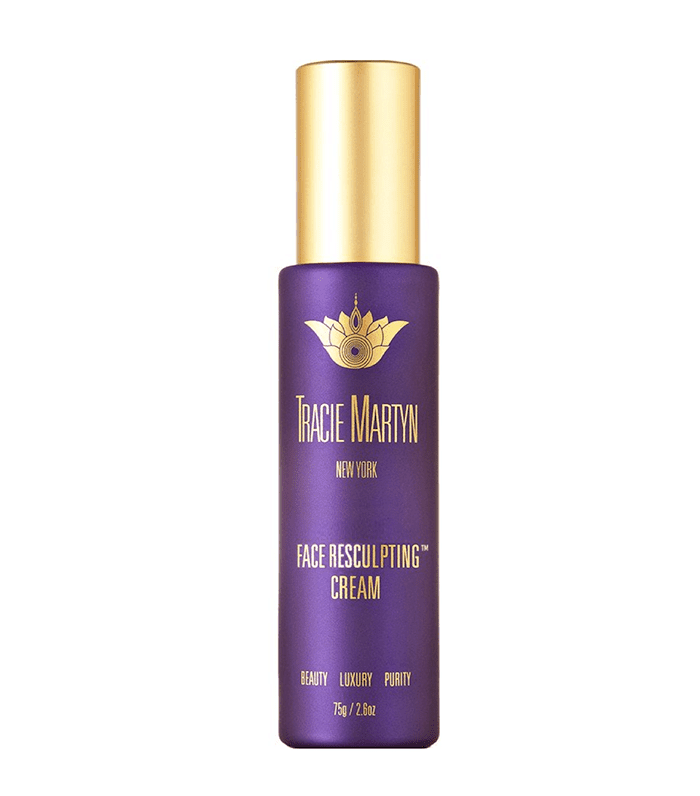 "It's especially great if you break out or have post-inflammatory hyperpigmentation or acne scars," says Martyn. Next, the aesthetician asked if I had any particular needs. She used a blue LED light to address a few lingering breakouts and a green LED light to for small bouts of hyperpigmentation, and started in on a face-and-neck massage using the Complexion Savior mask and LotuSculpt activator—during which she assessed my skin's elasticity. The LotuSculpt Activator is a serum mixture of hyaluronic acid and peptides, while the mask contains a hydrocortisone alternative—it is soothing, cooling, plumping, and hydrating, and thicker in consistency. "The mask uses precious stones (in this case, copper-containing malachite) as cosmeceuticals to brighten your skin." She spread a teaspoon of exfoliant (both physical and phytochemical) evenly over my face, chest, and neck area, and carefully massaged it in to remove embedded impurities, environmental pollutants, and dead skin cells. It also houses the enzyme GABA (naturally found in pineapples), as a safe, Botox-like muscle relaxer for wrinkles. Now, she begins working with the Resculptor, starting on only the left side of my face (in order to show me the results with a side-by-side halfway through). I held up the mirror and was (honestly) shocked at my reflection. Half of my face was chiseled, de-puffed, and visibly lifted, while the other half remained droopy. She removed the exfoliator with a damp cloth and wiped my face with a skin clarifying, lavender water-based essence. She started working on my eye area with the Resculptor, which I was particularly excited about because I always (seriously, always) look tired. She began to massage around my eyes, using the Firming Serum on her fingertips. "It contains bilberry extract," Martyn said, "which is not only a powerful antioxidant but also helps with microcirculation. This will target dark circles, puffiness, and help thinning skin around your eyes." 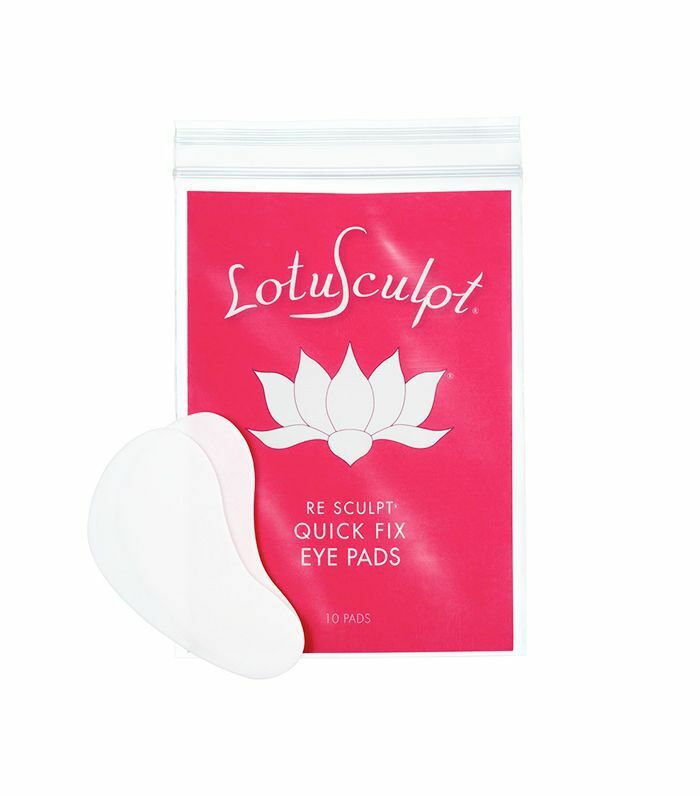 Once she finished with the Resculpting machine, the aesthetician applied the LotuSculpt Eye Pads, which contain hexapeptides to relax wrinkles and pentapeptides for collagen production. She applied a sheet mask for any areas that needed plumping, smoothing, or soothing. At this stage, the aesthetician used an amber LED light to help with damage from UV rays, pollution, and smoking, as well as loss of collagen. 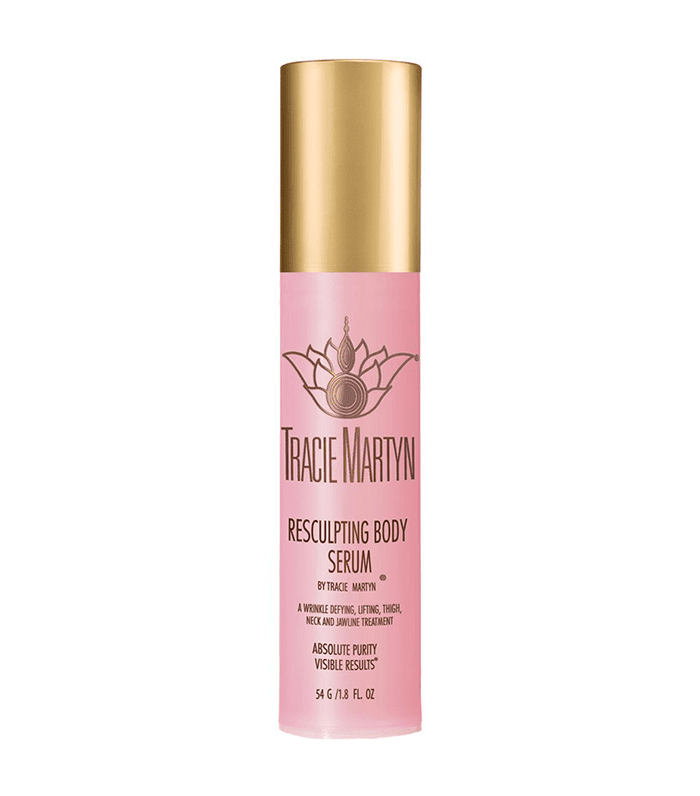 "Since under-oxygenation is also a major factor in urban environments and cellular respiration is important for energy production and cell turnover, I further enhance this regenerative process with an oxygen-peptide-hyaluronic-acid mist that feels so cooling, soothing, and replenishing at the end of the facial and plumps your skin," Martyn says. When my entire face was lifted, smoothed, and clean, the aesthetician applied an ultra-moisturizing firming cream for one last boost. The cream houses organic, cold-pressed rose hip oil, stabilized vitamin C, natural black currant lipids, green tea, and carnitine (an amino acid found in avocado). Here, find the best hair and makeup looks from the Met Gala red carpet and watch our editorial director get Madonna's pre-Met Gala facial.